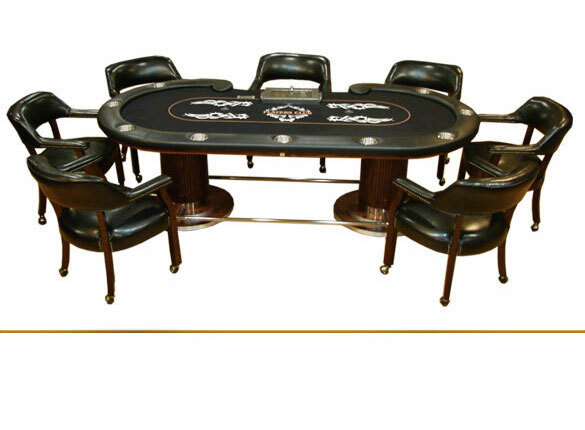 THIS SET FEATURES OUR 98" PT WEST TABLE ALONG SIDE OUR STANDARD POKER CHAIRS. THE TABLE FEATURES A REMOVABLE ARMREST WITH STAINLESS STEEL CUP HOLDERS. ALSO FEATURES A CASINO QUALITY LAYOUT AND ALUMINUM METAL CHIP TRAY. THE PLAYING BOARD IS MADE WITH 1 ½” BIRCH PLYWOOD, LEGS ARE COLUMN STYLE WITH A METAL FOOT RAIL. 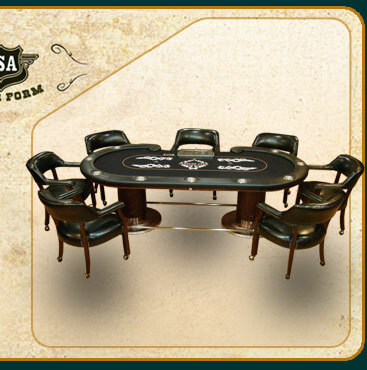 THIS POKER TABLE WILL BE A CENTER OF ATTENTION OF ANY GAME ROOM. TABLE INCLUDES 8 CHAIRS. 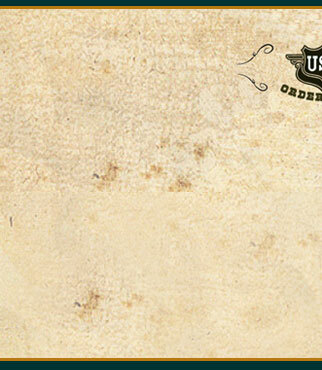 THE WOOD FINISH OF THE TABLE AND CHAIRS IS MATCHED THEREFORE THEY CAN NOT BE CHANGED.